Auckland Law School postgraduate degrees are internationally recognised. Our graduates are valued and sought after throughout New Zealand and the world. Professor Klaus Bosselmann and his PhD student Lucy Stroud who is studying in the area of International Law. "The selection of where to study was simple - the University of Auckland is a renowned hub for pioneering research, nestled amidst the rain forests and shores of a multicultural city that I love." These exciting new scholarships were established in 2016. You will automatically be considered for one of these fully funded scholarships if your PhD application is approved. When you apply for a place at the University of Auckland, you are automatically considered for this scholarship too. Doctoral Fellowships provide a doctoral candidate with part-time academic work experience and a small income. The deadline for applications for 2019 is 1 December 2018. The Faculty offers a Doctoral Scholarship in the field of Philosophy of Law. How does the supervisor relationship work? Working with your PhD supervisor will be key to your success as a postgraduate researcher. So, what can you expect within that working relationship? 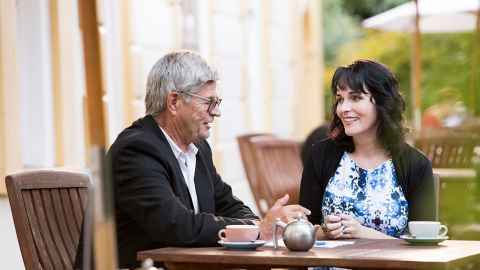 If you are considering PhD study, the Auckland Law School has a wealth of staff well regarded in a wide range of subject areas. Statement of Research Intent. Size: 26.2 kB. Type: DOCX. Download this DOCX file. Size: 26.2 kB.